The introduction of software solutions for the automation of business processes and workflows is a complex undertaking that will impact your operational effectiveness for years to come and which often requires a significant investment not only financially but also in terms of human resources and time. Given this significant commitment and investment, it is often alarming to see how little thought is being given when it comes to selecting the best possible software application or solution provider. In many cases, software applications are either bought “off the shelf” or developed from scratch without a clear and detailed understanding of the company’s needs. Without clearly defined requirements it is practically impossible to evaluate the offerings of multiple service providers and the procurement process invariable ends up in a “hit and miss” scenario. It is therefore important to secure the services of a solution provider with the proven ability and track record to delve deeply into your particular business model and to develop a profound understanding of your requirements against which possible solutions can be evaluated. 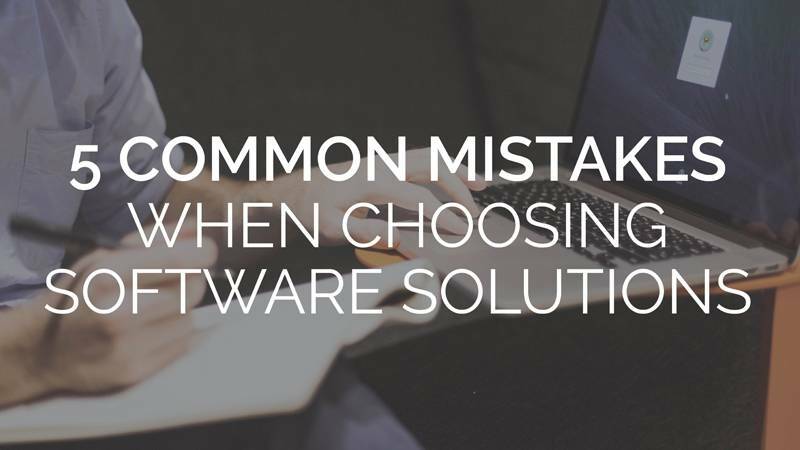 Like in all other procurement decisions, price matters greatly and budget restrictions need to be taken into account when it comes to selecting suitable software applications and service providers. *) Does the service provider have the required technical skill set ? *) Does the service provider have a proven track record with contactable references for projects of comparable size and nature ? *) Does the service provider have the necessary infrastructure to deal with your requirements regarding ongoing support and future software upgrades and maintenance within acceptable parameters? What looks cheap and attractive in the beginning, might come out to become a very costly exercise over the medium or long term, or, even end up in an outright failure of the project. It is thus very important to undertake the necessary research before making a far reaching decision of this nature. In many cases, business applications are designed to store highly confidential data that is crucial for the competitiveness of the business in the market place. It is not uncommon to hear that, for instance, sales people leave their employers with a complete set of their employer’s customer data. In order to avoid such pitfalls, it is therefore important to only select service providers who show a clear understanding of the your company’s requirements and sensitivities in this regard and who have the proven ability to leverage latest technologies to keep your company’s data out of harm’s way. Many custom developed software applications initially start off utilizing the services of free lancers and individuals working only part time or after hours. While this often renders seemingly quick results at comparatively low cost in the early stages of a project, the scenario often changes to the worse over time as businesses grow and requirements change. It is therefore important to choose only solution providers that have the required infrastructure and human resources to deal with your changing support requirements over long periods of time. Scale-ability of software development and support capacity are crucial ingredients for the sustainability of beneficial long-term relationships with your service provider. In today’s modern, fast-paced world, a productive workforce often equates to a mobile workforce. To not take into account the benefits of having vital information readily available at your fingertips while on the road right at the beginning of a project is bound to become a very limiting and costly oversight over time. In cases where employee mobility matters, it is therefore important to select service providers with a proven track record with regards to the development of cloud-based and mobile applications.